There are way too many distractions out there. It has become increasingly challenging for my brain to sift through the mess of information that is being thrown my way. Garbage. There is absolute garbage sitting out there on a number of different social media sites baiting you to consume. I deleted twitter from my phone. Instagram too. I am tired of being a product of some other person (or company, in this case). I am addicted to using these media platforms, I, like many, am addicted to consuming. I am taking a break from Snapchat and Instagram (leaving FB as the only social media app on my phone). Yup, just deleted them as I board this flight. I find myself spending too much time looking at other people’s lives. It’s great to connect with friends, but I find that I can do that without using Snap/Insta. I think social media apps do a great job of transporting us to different worlds as we experience others’ lives. They also are often ego boosters, giving me gratification for likes and responses. But I think these apps are making me less happy. And today, as the summer of 2018 comes to a close, I arrive at a similar point. Why do I feel this way? What do I want? And what am I going to do about it? I crave simplicity. In aiming for generality, I find I need freedom. I need freedom to decide things, to make decisions, and to spend my time how I please. The problem with social media, and the “world that exists on my phone,” is that it restricts my freedom because it eats at my attention. It makes me reactive. Well, to qualify, it is not making me do anything. I am choosing to become a more reactive person by waiting for notifications, waiting for new things to pop up on the feed of my phone. Waiting for likes and waiting for follows. This is not a unique critique of social media – I know that. What I think a lot about is how our “smartphones” are no longer utilities that we use in our day to day lives. They are not tools used for augmenting communication or whatever Apple says on the cover that they do. Utilities are reactive to humans. Humans are not reactive to utilities. Utilities have a purpose that is defined. Phones and apps etc. are more than that. They are the determinants of our day. Our feelings. When our phone is dying, we are dying with them! So the question I came to is what if I could turn my phone back into a utility? What if I could turn my phone back into a brick – a tool I use – a tool I am purposeful with. I think smartphones are awesome. They are super fun. Apps are amazing. Social media is amazing. Snapping friends and posting instas – amazing. Incredible human invention. Your phone, though, is built like a casino. Apps are gambling games that you invest time in and they all have varying outcomes. The colors are there to get you to have more fun and stay longer. 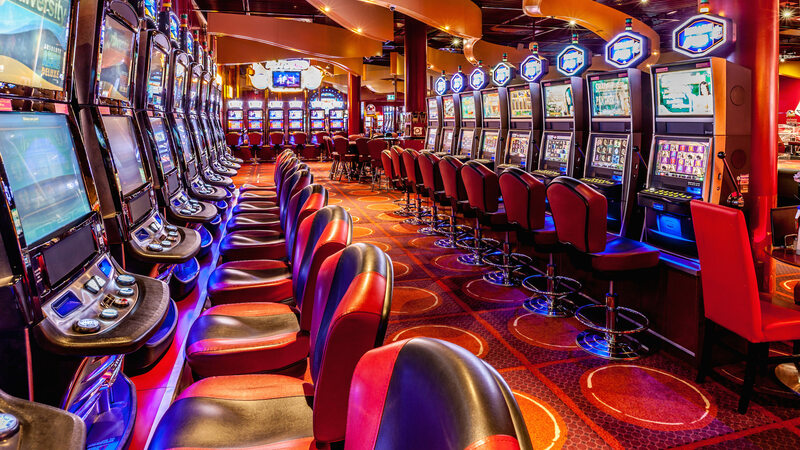 Your phone is a giant casino-like machine that monetizes your attention. You think these are just games that you get entertainment from…but also remember that someone else is winning. And when someone wins, often someone else loses. But I don’t want to play these games. I want control back. So I’m turning my phone into a tool, not a general purpose life device. I gray-scaled my phone a few weeks ago. The colors are addicting, so turning them off helps me focus. Those are two small changes but I want to make more over the next few weeks / months. I want control! I want freedom! I do not want push notifications telling me where and how to spend my time.